You’d be forgiven for thinking September is some kind of unofficial Dutch trance appreciation month. The Netherland’s Armin Van Buuren, Hardwell and Ferry Corsten – three of the most influential DJs across two generations – are playing in Hong Kong and Macao this month. If you weren’t aware of that fact and you’re any kind of dance music fan then you’re probably throwing money at your computer screen right about now. Calm again? Good. We’ve already spoke to Armin Van Buuren and Hardwell. 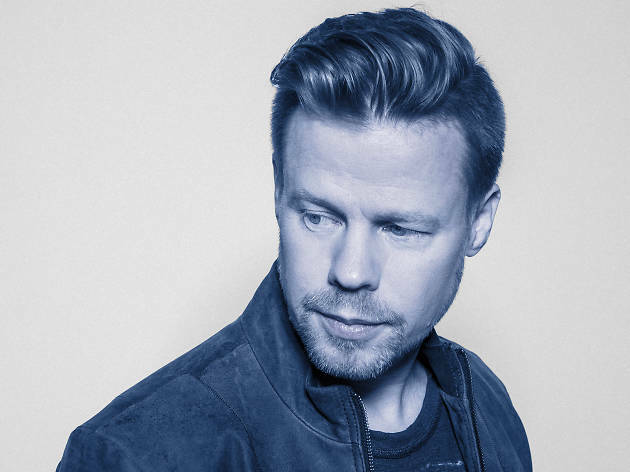 Today we complete the triumvirate by focusing on Ferry Corsten, a catalysing juggernaut of trance. Revered in the genre for almost three decades, the guy never stops pushing the envelope in what many consider a restrictive genre where trends are quickly outdated. 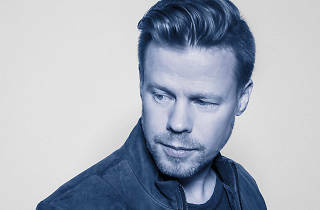 Never has that been more evident than on Corsten’s latest album, Blueprint, which has been hailed as the second coming of trance. A concept album that features a spoken word narrative, it’s a much more challenging musical prospect than a trance album has any right to be. The next couple of months sees you, Armin Van Buuren and Hardwell play in Macao and Hong Kong. What kind of relationship do you have with them and how is it that the Netherlands produces so many incredible DJs and producers? Armin and Robbert [Hardwell] are great guys. They are very talented and sit on the top of their game. I’ve a lot of admiration for them. I’ve known Armin for a very long time and Robbert for some time now. I’m not sure as to why Netherlands produces a lot of great DJs. It must be in our water or maybe it’s because it’s a tight knit scene. Your career up to this point has been a storied one – what are some of the highs and lows? I’m really proud of my music and I’m really proud that I’ve been able to do what I love as a career. There aren’t too many people that are able to do that and I’m blessed that I can. One of the biggest highs I have right now is the release of my new album, Blueprint. I’m super proud of that. As for regrets, I produced so much music under different aliases years ago, maybe I would have had less aliases and a bit more Ferry Corsten. You’re considered one of the real progenitors of contemporary trance and a true legend of the genre. Is that a label you’re comfortable with? Definitely. I’ve produced so many different types of music in the electronic dance music scene and I have come to realize that this music for me in this space is home. Blueprint is a hybrid between a music album and an audio book. In other words, a narrative story that carries the listener through the entire album creating a full listening experience. The difference between this album and my previous work… My previous works were just traditional ‘music albums’ where there was no central theme. The music in my previous albums was made to flow together but not as cohesively as Blueprint due to the story. You’ve been at the forefront now of the trance scene for a long time now and your music has transcended musical taste for a lot of people. Why do you think that is? That’s a good one. I’m not too sure. I know my music is very melodious and perhaps there is something in that which strikes a chord with people. You’ve achieved so much as a DJ/producer/creative – been everywhere, won over countless fans – what still excites you as an artist? On the musical side, it will always be creating a piece of work that I love, that I’m proud of and that I want to share. On another side, I love it when a fan comes up to me and says my music changed their life. It always means a lot to me. What’s your experience of Hong Kong and Macao? How do you think the crowds and moods in the room differ here as opposed to elsewhere? Hongkongers and Macanese are such hospitable and wonderful people. I always love going to Hong Kong and Macao. The crowds tend to start the night off by keeping their composure but lose it along the way when the alcohol hits! Definitely some music from my latest album, Blueprint. Hope you enjoy it!